Although it's tempting to hit Dominator first because of its location, your best bet is to get to the park before opening and head for Volcano right at rope drop. Intimidator 305, Flight of Fear, and Backlot Stunt Coaster are located in the same general area. Then you might want to head over to ride Twisted Timbers. 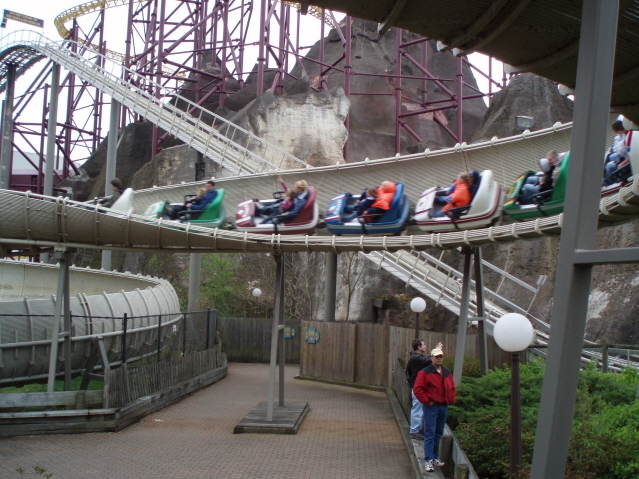 The park's bobsled coaster, Avalanche, doesn't open before noon and tends to draw a long line. After riding Dominator (and the Boo Blasters shooting dark ride, if you like), you can pick up the park's remaining coasters at your leisure. As is true of many other Cedar Fair parks, food offerings at KD tend to be expensive and low quality (for example, two slices of pizza and a soft drink cost more than $12). If you must eat at the park, your best bets are Panda Express, Chick Fil-A (except on Sunday--all ala carte), and Outer Hank's Shrimp Shack. If you want to leave the park to eat, there are a fair number of chain restaurants available in Ashland, just one exit south off I-95. The park is open weekends through April and May, with daily operation starting around Memorial Day and lasting through Labor Day. 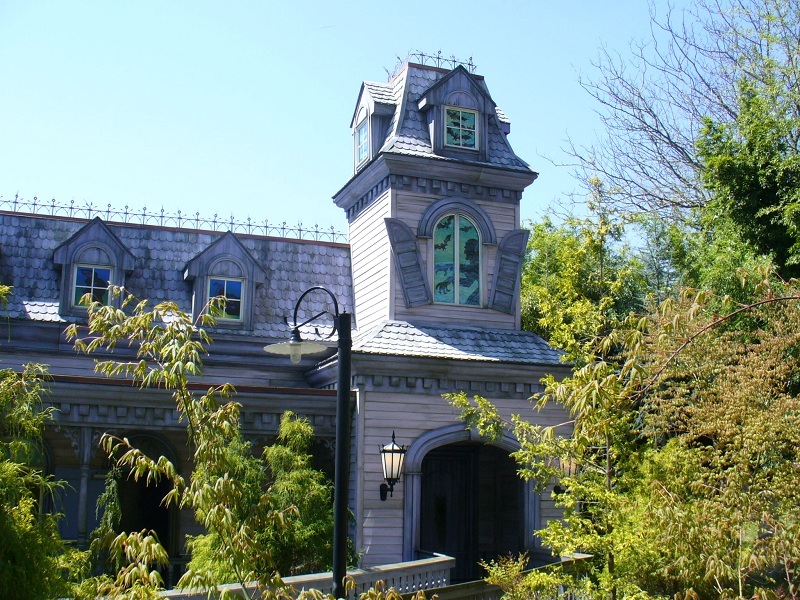 The park is open weekends in September (but check the park calendar regarding corporate buyouts) and October (for Haunt). Haunt is KD's biggest annual event. During October, the park is open from 7:00 pm to midnight on Fridays (the best nights to visit), but open all day on Saturday and Sunday. Most rides (except for water ridesand Hurler) operate during Haunt. Kidsville and Camp Snoopy close early before Haunt begins. Mazes start opening at 6:00 pm, and scarezones at 7:00 pm. KD is located in Doswell, Va. Take exit 98 off of I-95. 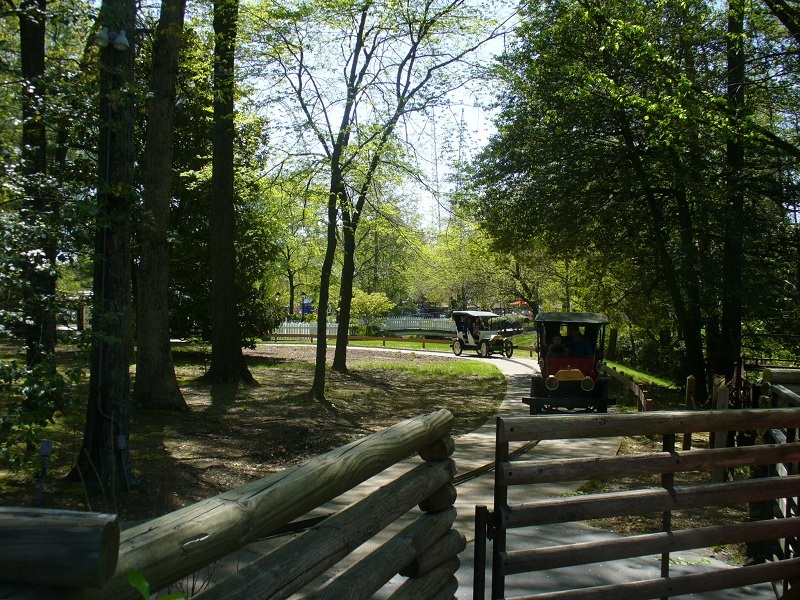 The park is 20 miles north of Richmond and 75 miles south of Washington, D.C.
Kings Dominion offers Camp Wilderness where you can choose between primitive tent sites, group fields or air conditioned cabins. RV hook-ups are also available. The Best Western Kings Dominion is located adjacent to KD's parking lot (it has a Denny's Restaurant, as well). There are three hotels across the street from the park entrance: Days Inn, Comfort Suites, and Country Inn and Suites. Hotels can be found in nearby Ashland, too. 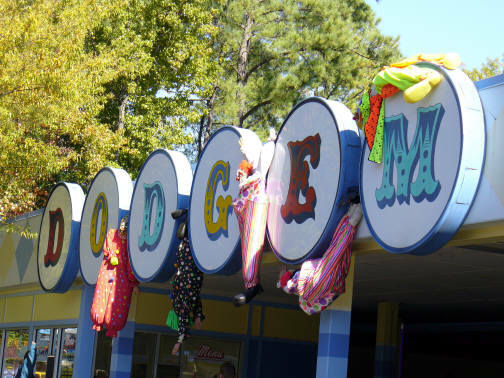 KD is known more for thrill rides than shows, but there is a show for families starring the Peanuts gang and a stage show in the Kings Dominion Theatre in Old Virignia. There are special shows during Haunt, as well. Kings Dominion is a mixed bag. 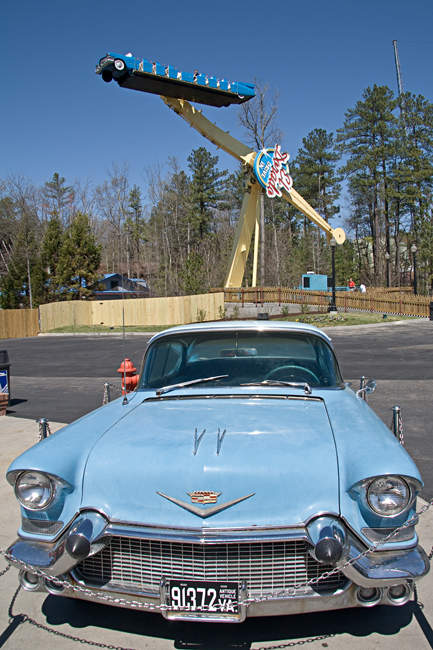 The park emphasizes its large collection of coasters, yet provides quite a few rides for little kids. 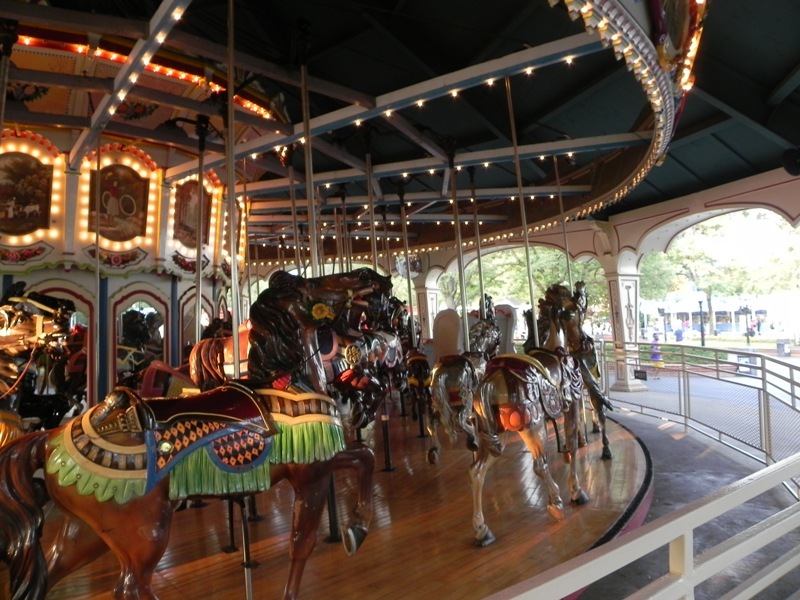 It has fairly well themed sections and a traditional, standard midway. 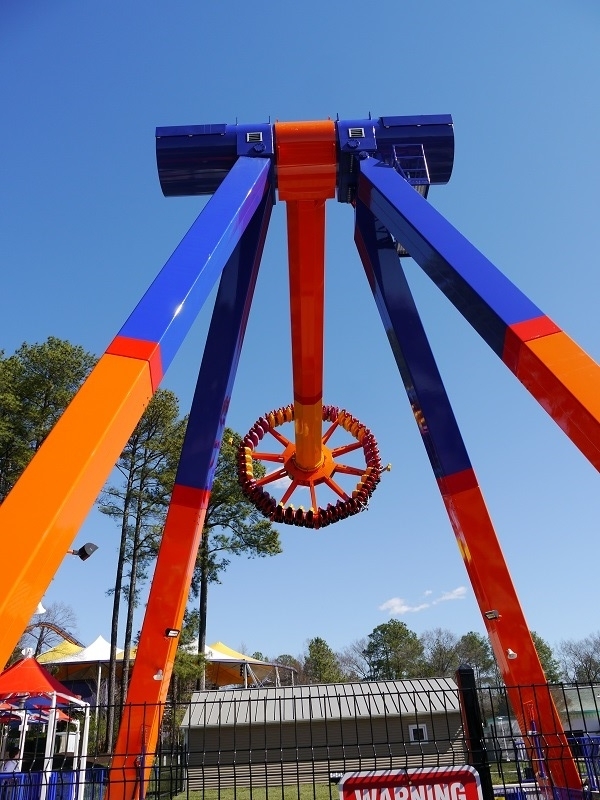 The quality of the coasters ranges from world class (I305) to very good (Dominator and Volcano) to, well, not so good (Anaconda), but the park does deliver the thrills, and it has Virginia's only woodies. 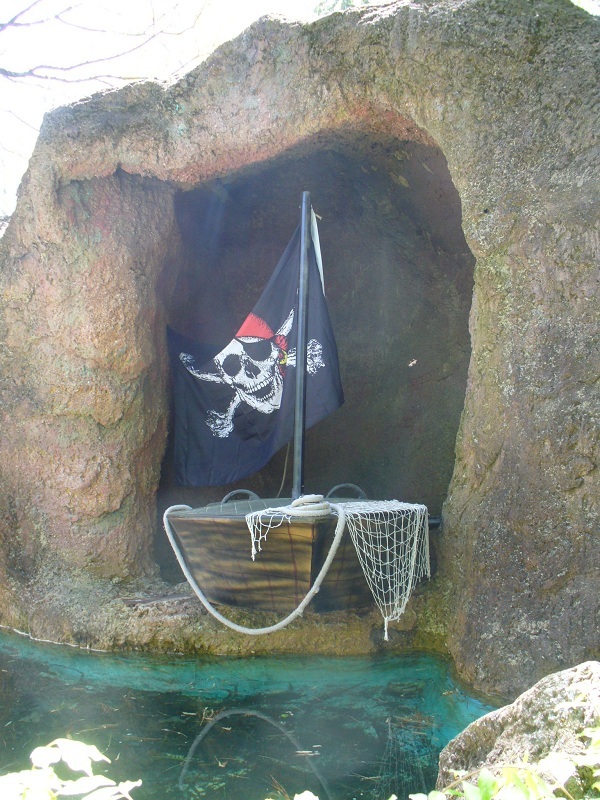 There are some decent flats and water rides and a well-done shooting dark ride, too. All in all, this is a decent park for teens and coaster buffs. Those who are neither may not have as good a time. 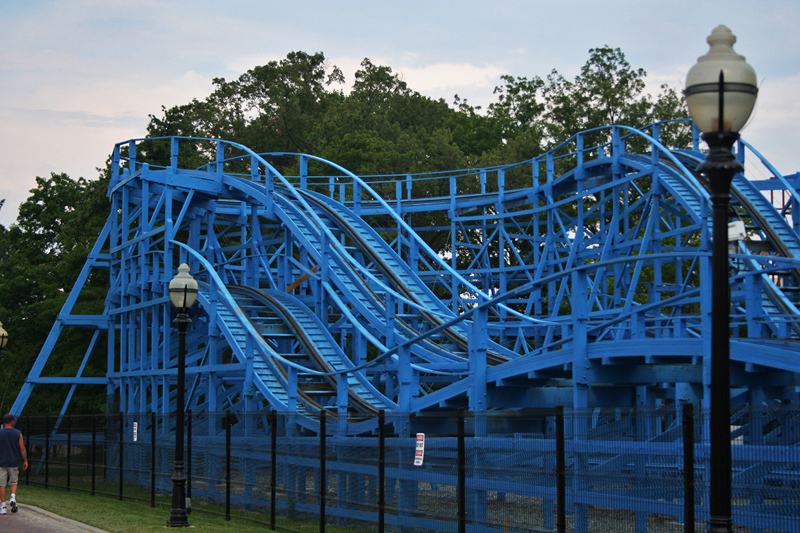 Kings Dominion is an amazing park with a heavily overlooked top notch coaster collection as I305 and Twisted Timbers are worth a visit alone so if you are one of those people looking for 10/10 coasters to marathon throughout the day and all of them need to be awesome this park is for you. On top of that the park looks nice and is very well kept. The ride ops are pretty fast and there are plenty of different food options, flat rides, and all around things to explore and do here so plan to spend a full day. If I had to pick an area of improvement, some of the guests at this park can be weird and rowdy so it would be nice if there were more security guards around or staff in the queue lines. However, this is hands down a must visit park! This is a very well rounded park. There's so much to do for everyone. The park is including a lot of shows recently, as well as adding lots if family rides as well as thrilling rides. Their coaster collection is Great. i305 is phenomenal and is by far the best coaster I've ever ridden. The park is easy to navigate, and with the 40th celebration coming around, I like how they're incorporating even more of its past. Everyone will often compare this park to BGW, but I gotta say, this park is still good looking. It's not as pretty as Busch gardens, but it's still got some scenic parts of it. 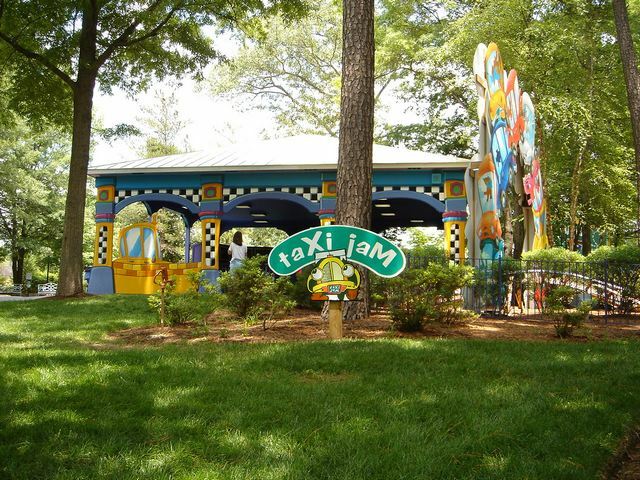 Overall, this park is a must visit and you are guaranteed to have a good time here. Park has a great location, away from development and surrounded by trees. Park is well wooded which make it special. 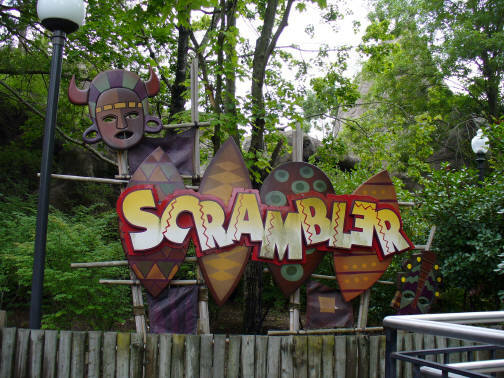 Former owners just about ruined the park with detoriation of theming and removal of some rides like the train. Old Va and Congo areas have especially suffered. Park is clean. Food is good and overpriced. Average selection of coasters, most of which can be found at another Cedar Fair park. The Mack bobsled is a US original and a nice ride. The floorless B& M is one of the best looping designs with great pacing between inversions. Internations Street is gorgeous and a great place to just hang out and enjoy the scenery. Always have a nice time at KD. This park definitely has the Cedar Fair corporate feel, but Intimidator 305 makes this park a must visit. 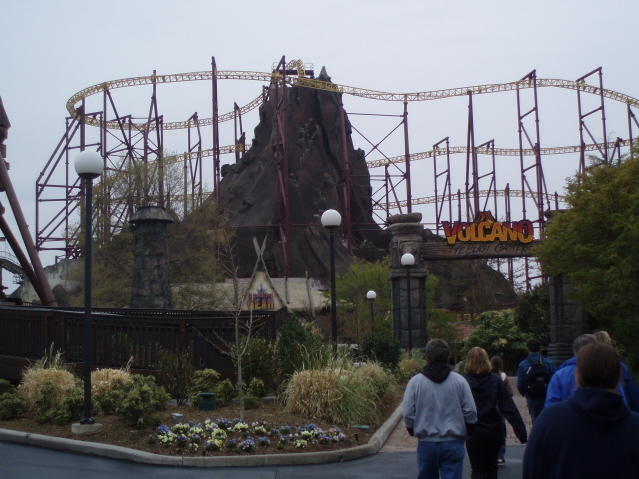 Volcano and Dominator are also must rides while visiting the park, but beyond that, much of the coaster collection consists of rough and painful coasters. Despite that, this park is well kept and is overall a fun day out. Kings Dominion is a really fun park! When I went there last, I had a fun time. They have a good collection of coasters, a good deal of them extreme, but some family-oriented ones such as Avalanche and Ricochet. 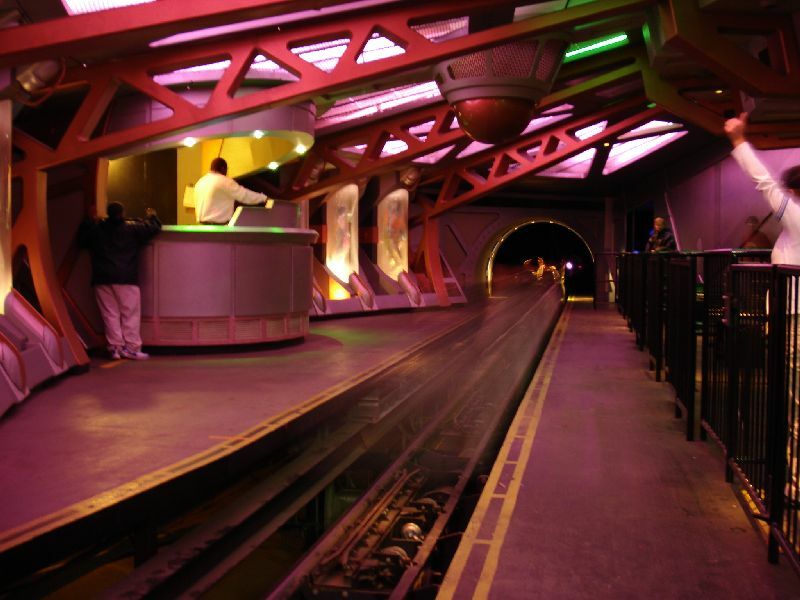 They were running every ride at max capacity, making for short lines, and the fast lane system was executed very nicely. Intimidator 305, Volcano, and Dominator are the real stars of the park though. They are unique and thrilling rides! The food was better than most amusement park food, and it was not overpriced either. If you plan your day correctly, you can always have a great time, wether you are with your family or by your self. 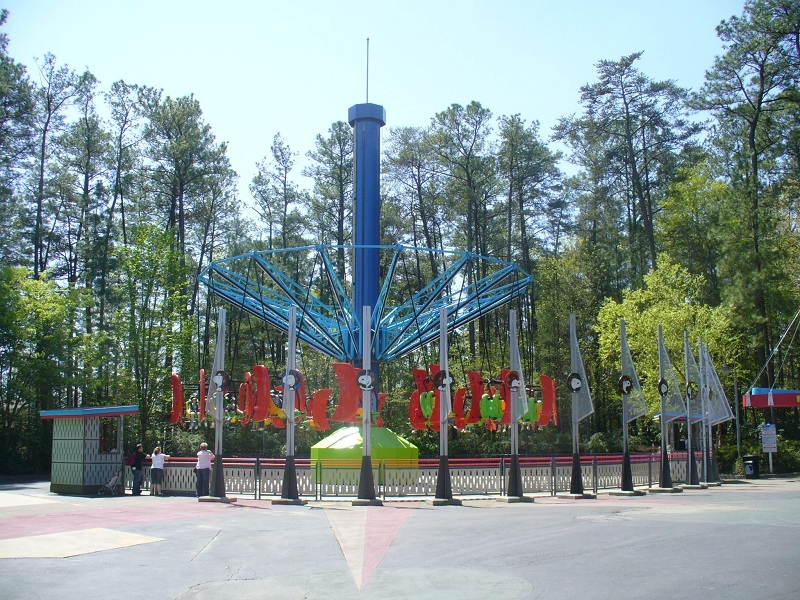 Having not been to Kings Dominion since 2003 I found a park that has improved a bit after my recent visit. The park looked great and better kept since Cedar Fair took over. Operations seemed improved as well. I-305 is the star here and is an amazing giga coaster but a bit on the intense side that may not be to everyone's liking. Volcano is also a very good ride. Fast Lane is worth it just for Volcano though you are only restricted to two rides due to the capacity. Dominator is a very good floorless looping coaster. 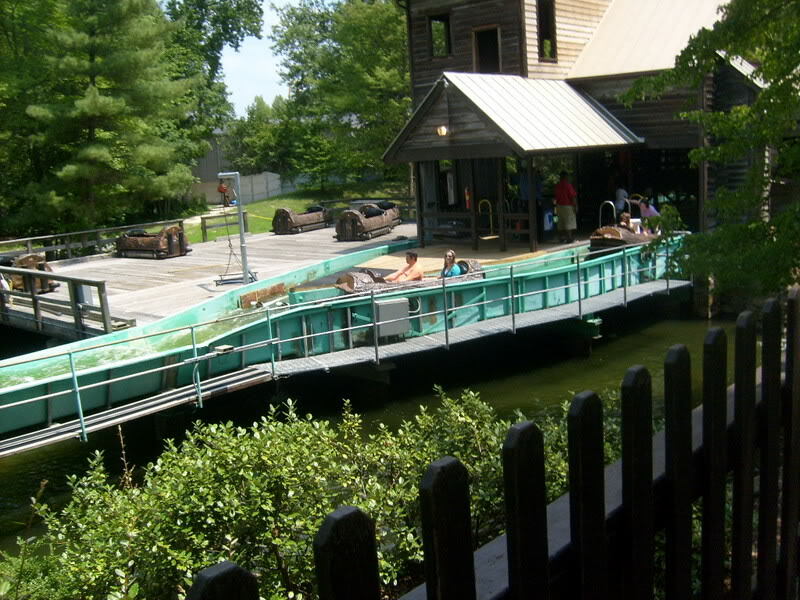 Both Grizzly and Rebel Yell are fine wood coasters that gave better rides than Hurler. 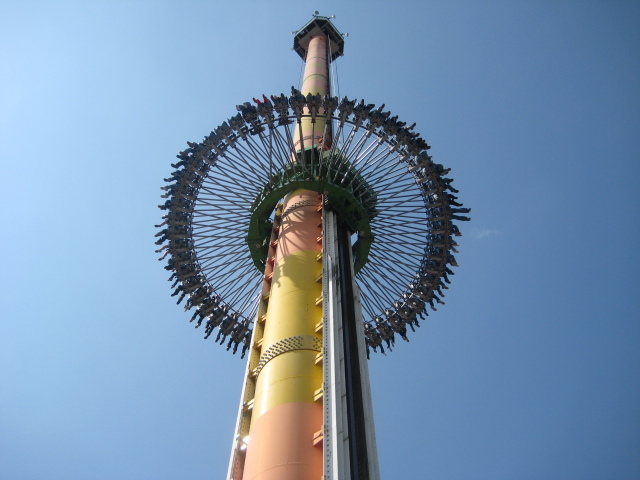 Drop Tower is one of the best freefalls I've ridden. Avalanche is a great little bobsled coaster the family can ride together. I've been going to Kings Dominion for about 25 years now. Today it's better than it was in the Paramount days, but not as well-rounded as it was pre-1994. The coasters, while there are quite a few, tend towards the average side. The standouts are definitely I305, Dominator, and Flight of Fear. Volcano is too short and a capacity nightmare. The woodies range from horrible (Hurler) to "good on some days" (Grizzly). 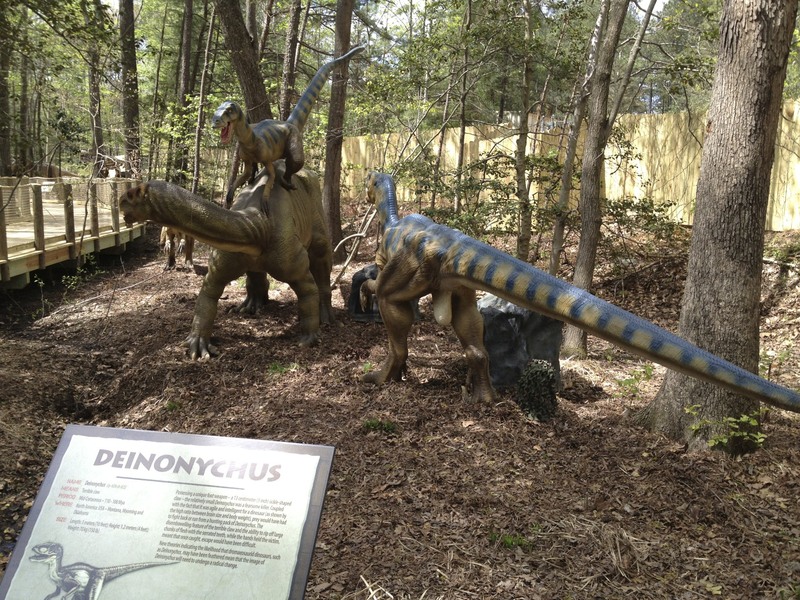 The new additions of Windseeker and Dinosaurs Alive have really brought back to life the dead back-right part of the park. Still, some new flat rides, replacing bad coasters (Anaconda, Hurler) with good ones, and updating the childrens' section would go a long way to making the park above average. 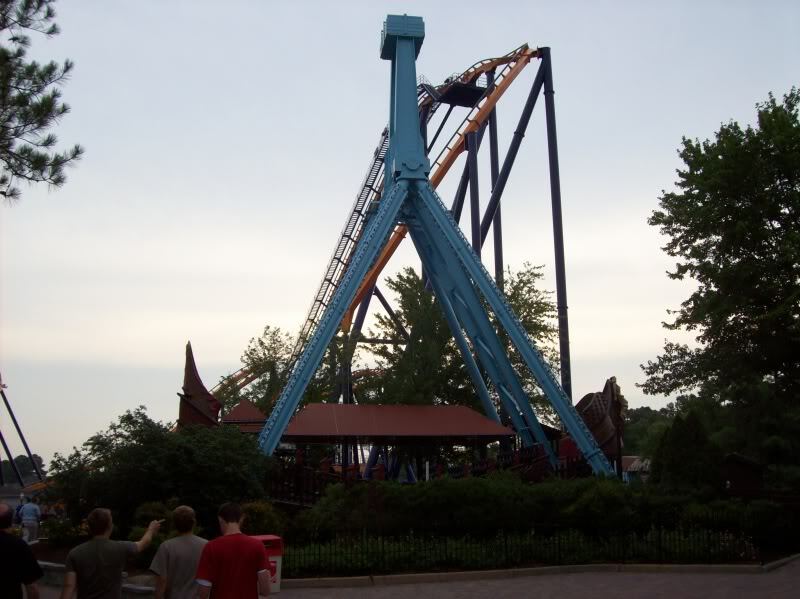 My trip to Kings Dominion was quite a shock. 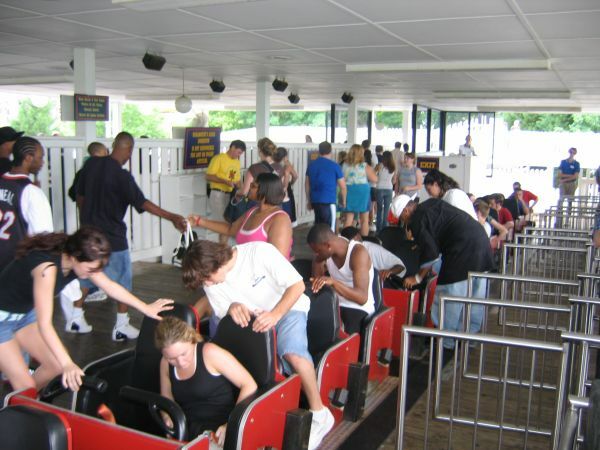 I was expecting the close quarters of Carowinds with less trees and more coasters. What I got was quite the expansive park with plenty of foliage. Kings Dominion exceeded my expectations! I love its coaster collection, but unfortunately Dominator, Volcano, and I305 are the only noteworthy coasters. I found I305 to be TOO intense for me, which prevented frequent re-rides in a row. That being said, it is a truly thrilling coaster experience that everyone must try. 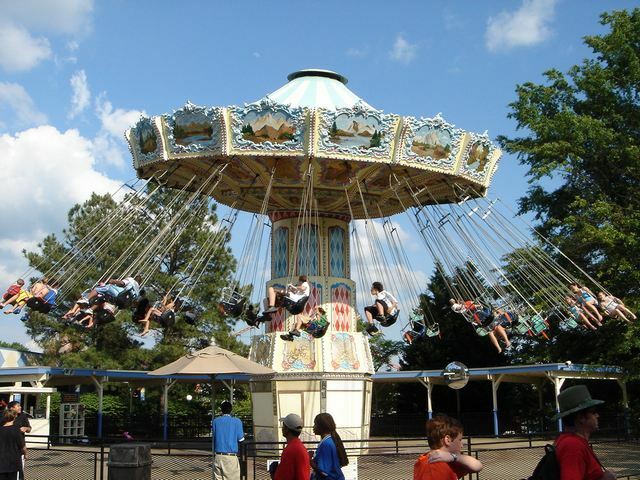 Kings Dominion is a great park that we thoroughly enjoyed! The park is full of trees and is nicely landscaped, giving it a more traditional feel for a "corporate" park. The food we had was very good for a Cedar Fair park. 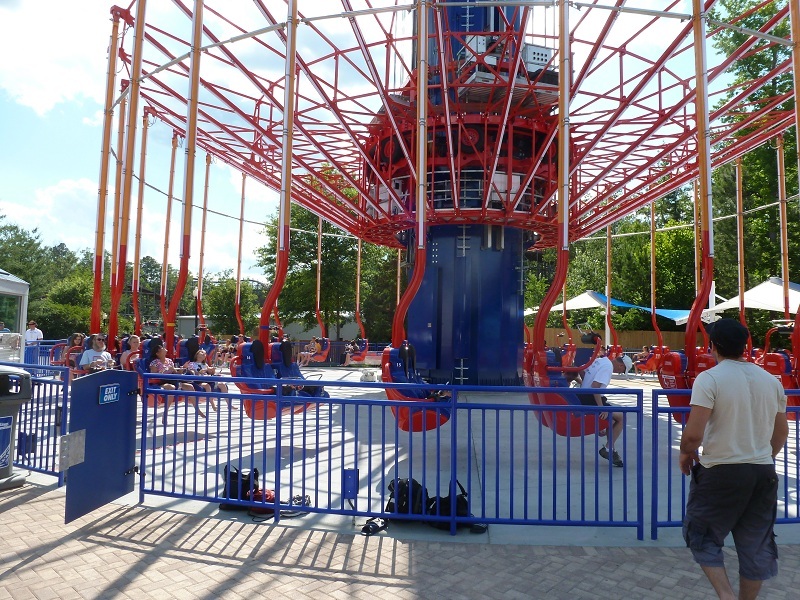 The ride assortment is plentiful, with many favorites including one of the BEST drop towers around. The park has a pretty awesome coaster collection, but there are really 3 standouts that steal the show: Volcano is just awesome fun and very unique (although the capacity stinks, so ride early! 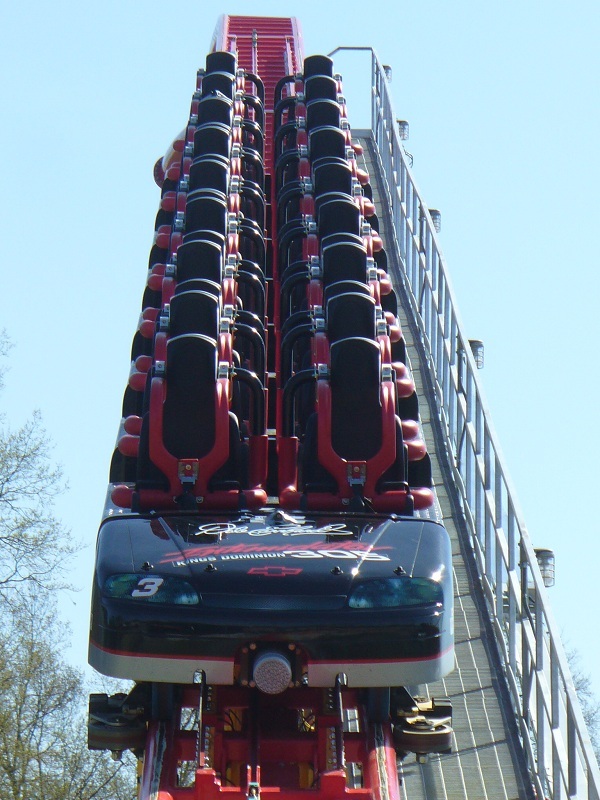 ), Dominator is the pinnacle of floorless coasters, and then, of course, there is the one and only Intimidator 305. I-305 is simply phenomenal in every aspect! You could go to the park for that coaster alone and leave happy!! I"ve been going here since I was in a stroller and have always enjoyed it. Most of the coasters are good quality, with the exception of Hurler, Shockwave and Anaconda, and has several good flat rides. The atmosphere in some areas is good, but others are meh. The food is mediocre and overpriced, so I reccomend bringing a lunch and eating at the picnic tables outside. The operations are slow, so avoid going on the weekends if possible. Overall it is an enjoyable place, just don't expect it to be great. I305, Volcano, and Dominator are worth the admission price alone. However, they are really the only coasters that stand out. Operations are pretty subpar here, with slow dispatches on the already low capacity Volcano. Many other rides, including I305 tend to run one train, so expect to have to wait for some rides. The wood coasters are all either painful or boring. Still, any thrill-seeker should make KD a destination. For the longest time I really liked Kings Dominon, however my last two visits were not that impressive. Thefloor of the line for Volcano looks like a gas station parking lot and requires security to observe holding pit. The neon in the back of the park has been neglected leaving it with a broken Christmas tree look. 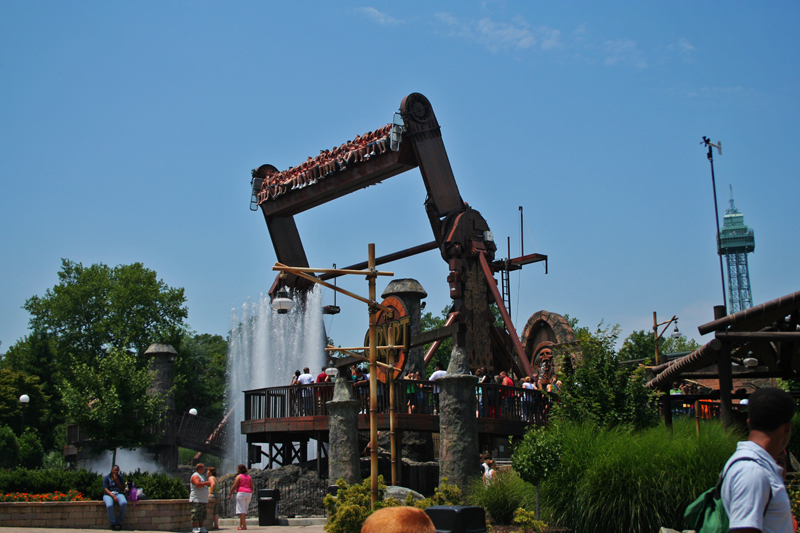 Hurler is not a good ride by any means, however the racer is enjoyable. When you get down to it, they only have three rides that stand out, those being I-305, drop tower, and Dominator. Preferred parking for SP holders is a plus, especially during busy times. 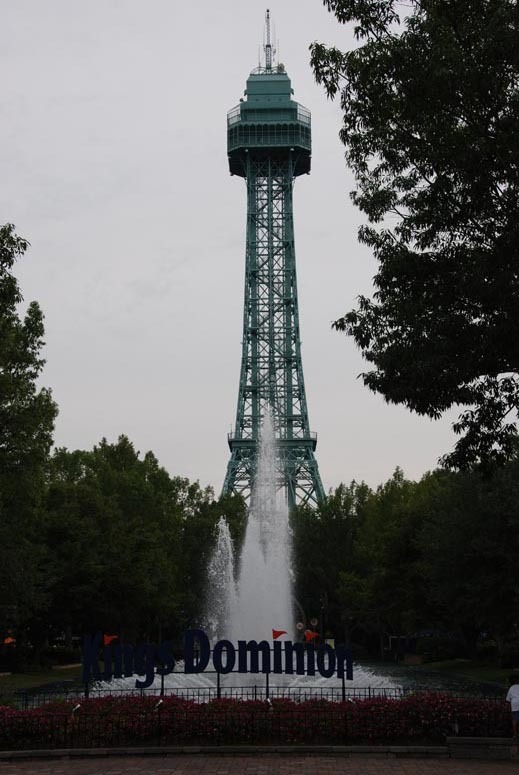 I thoroughly enjoyed the time that I spent at Kings Dominion. There are sections of the park that are extremely pretty, although The Grove is a bit lacking on theming and seems dead near Hurler and El Dorado. The coaster collection is filled with variety, with the standout rides being Intimidator 305, Dominator, and Volcano. The other coasters aren't quite as great, but they are plentiful and help create a mildly well-rounded collection. 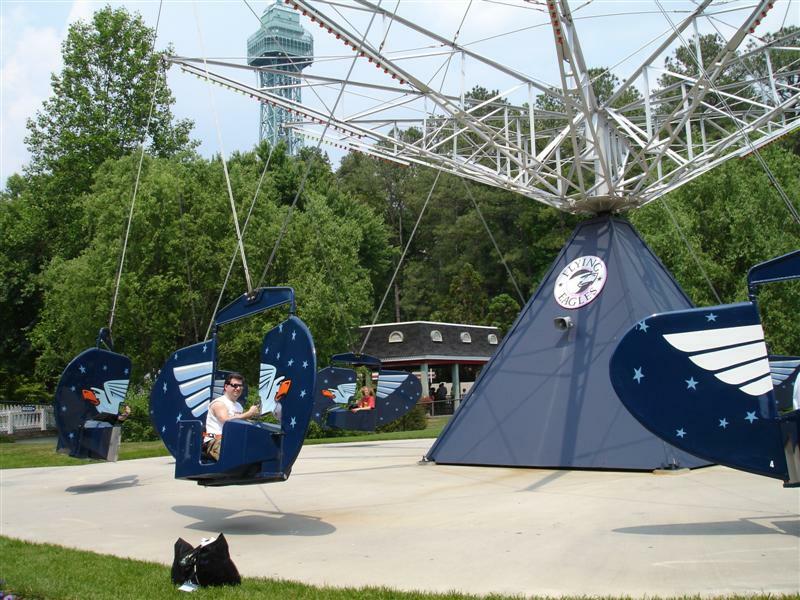 The park has "two" kids areas, although it's time for Kidsville to be integrated into Planet Snoopy. I feel that a number of rides that the family could ride together would help fill out the park, as outside of the kids section, there seems to be little for families. A few new flat rides would help as well. 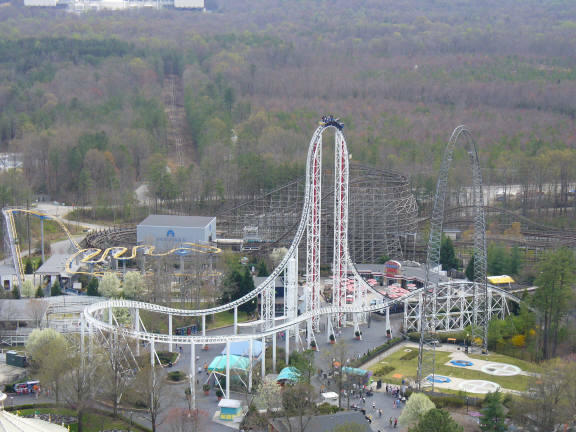 This park sports a great collection of coasters, headed by Intimidator 305- a real world class coaster. The rest of their collection is alright- Volcano and Flight of Fear are the other two best coasters, and Avalanche and Anaconda (for Arrow-lovers) are quite fun as well.The Crypt is an amazing flat, but not too many others to speak of. The wood coasters could be better. 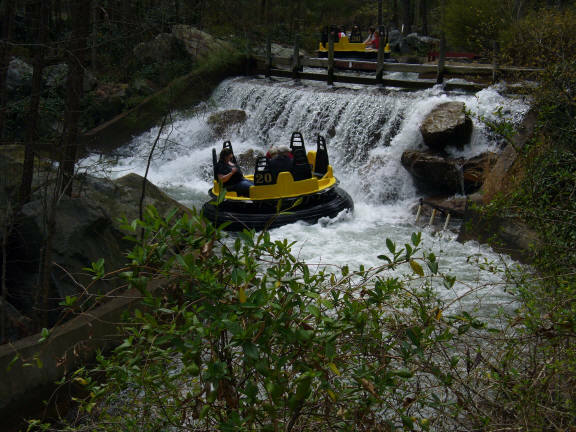 Rapids ride is great though. 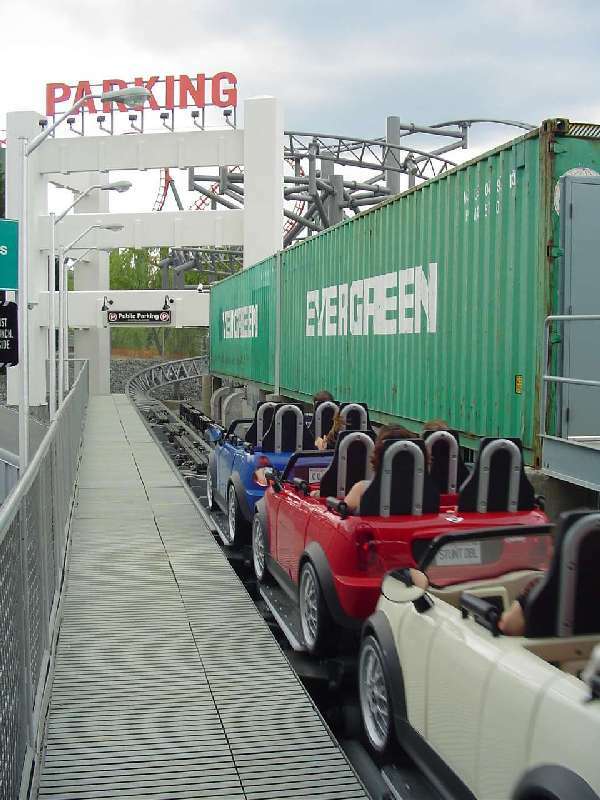 Operations are average, though Intimidator's crew can really move. Food quality is pretty bad. Not too many entertainment options, though the fireworks and light show are cool. Not too much atmosphere to speak of- just lots of coasters. 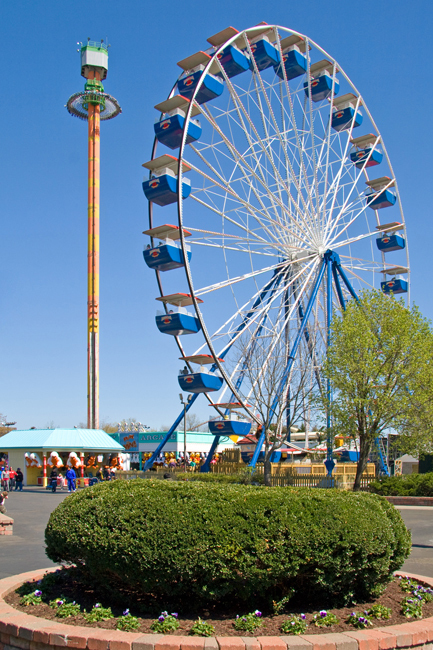 I look upon Kings Dominion as a "spring or fall" park--a good place to visit before the Virginia heat and humidity sets in and the hordes start to arrive. 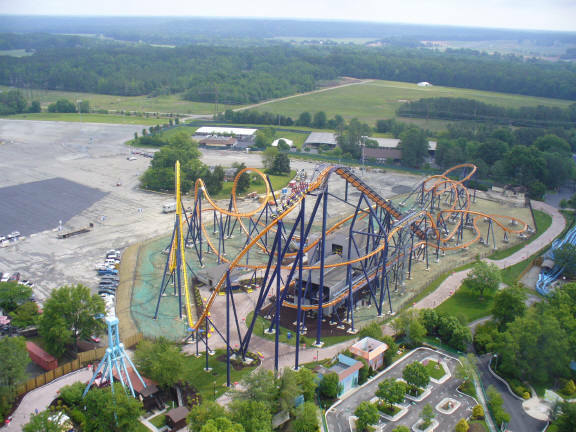 I305 is a excellent, wolrld-class coaster, and Dominator, Volcano, and Flight of Fear (depending on your taste) are good rides, too. 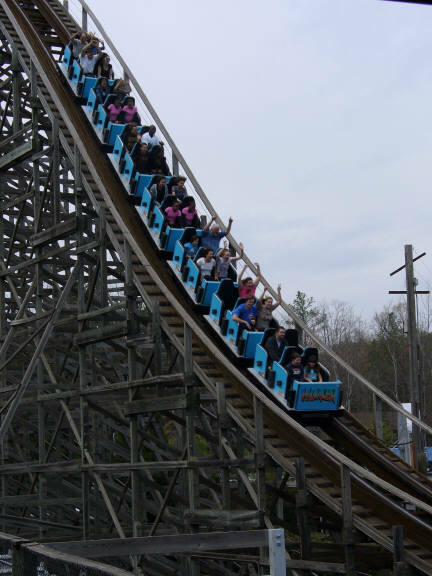 The park has the state's only wooden coasters (Rebel Yell is the best of the lot, although Grizzly has its fans), but the remaining rides are pretty average, and the shows tend to be weak. Their annual Haunt event is fun (go on a Friday night, when the park is open from 7:00 pm until midnight to beat the crowds). All in all, this is a decent park for thrillseekers. KD is great fun. Intimidator 305 is my #2 steel coaster behind only Millenium Force. The changes made for 2011 reduced the very cool grey-out effect, but it's still there to a lesser degree and fortunately the mods allow the restoration of the speed. Dominator is another of my favorites and Volcano is great too! Rebel Yell is older, but a lot of fun with some good air time. The park is clean and is reasonably well landscaped. They have some cool flat rides (love the Crypt). 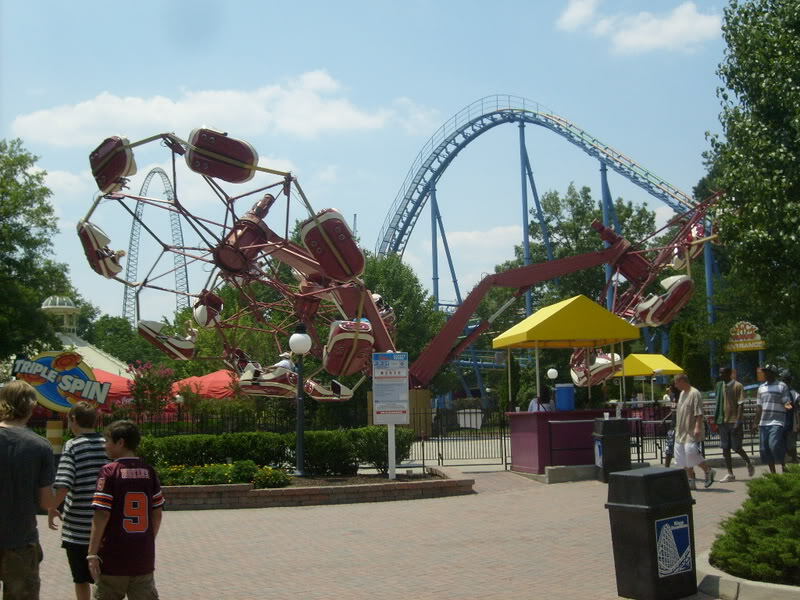 Like other CF parks, they keep some lame coasters around just for coaster count (Hurler, Anaconda, Shockwave). Lines can get very long (especially for Volcano), and there's no quick queue/flash pass option. Go on a rainy day to avoid the crowds and heat! 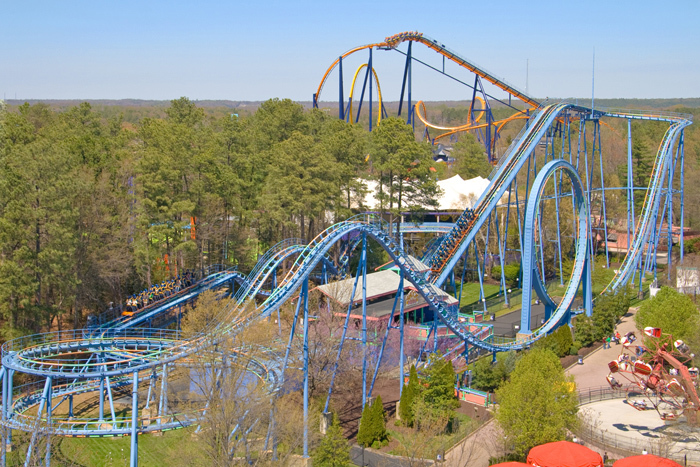 Kings Dominion has I-305, which is an amazing coaster, and #3 on my top ten. 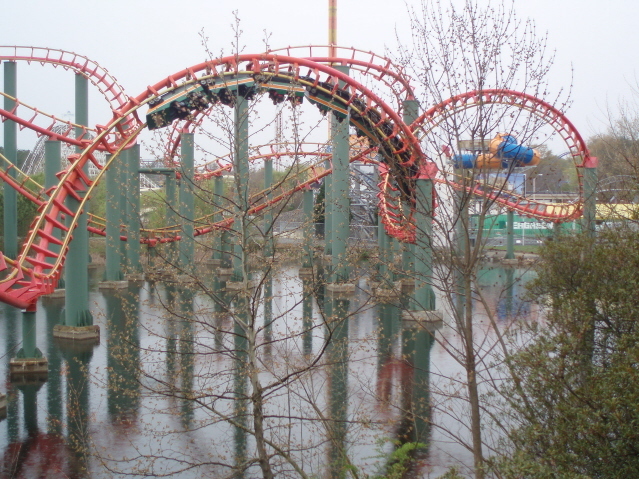 However, Dominator and Volcano tend to be the only other "very good" coasters at the park, and the line for Volacano is almost always flowing out of the queue. Rebel Yell is a classic, "Flight of Fear" is really popular with the public due to it's indoor course which features multiple inversions. Backlot is decent. Grizzly is really rough, Hurler deserves to go up in flames. Shockwave is a crotch killer, Avalanche isn't exactly "thrilling" and Ricochet is a standard wild mouse. It hasa nice collection of Flats, including "The Crypt" and a decent waterpark. Kings Dominion is a good park, it just doesn't have the best coasters! 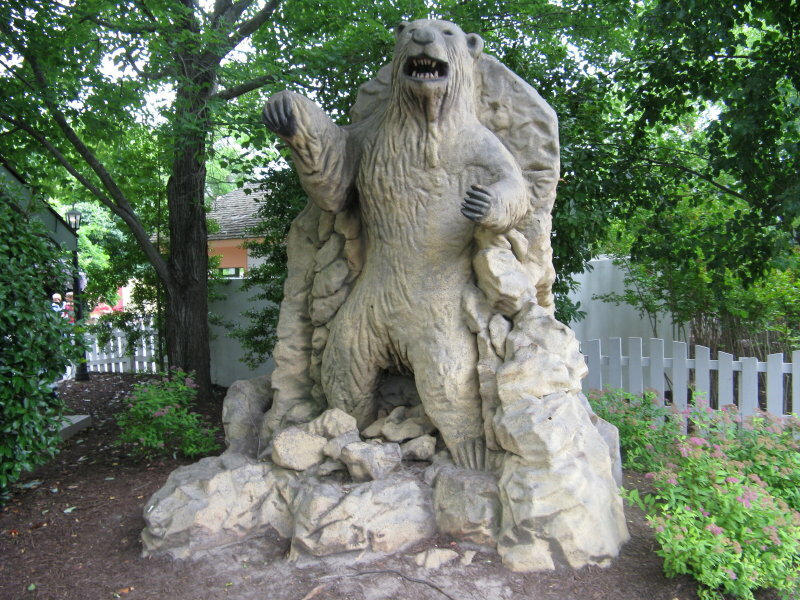 Kings Dominion is a nice park with a good variety of attractions. 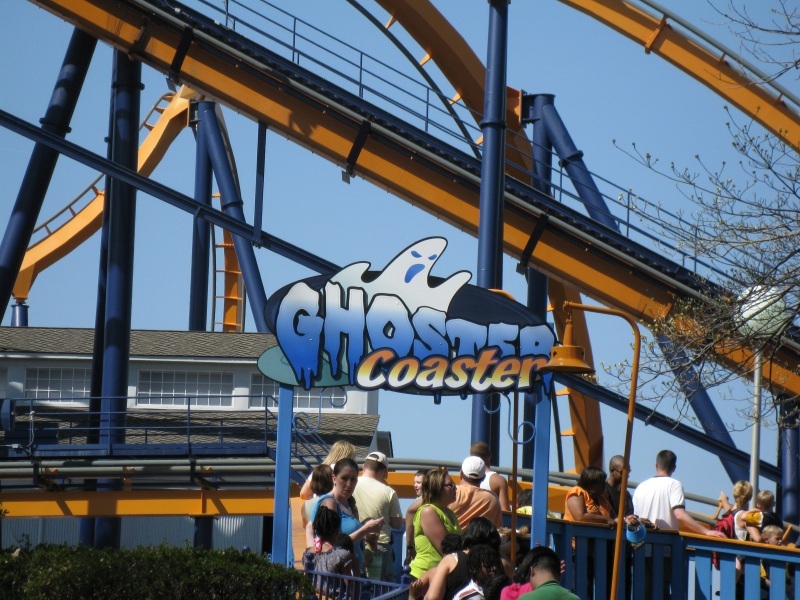 There are fourteen coasters to choose from, and while only Volcano, Dominator, and Intimidator 305 are "standout coasters", most of the remainder aren't bad. In addition, the park has a really good collection of non-coaster rides. Finally, the park has a waterpark included in admission that is nicer than half the stand-alone waterparks I've visited. 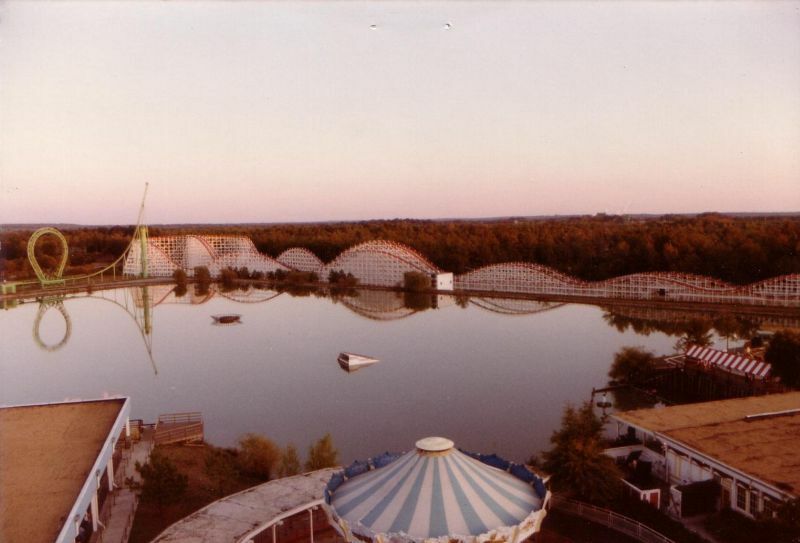 It's still a Cedar Fair park, but it is definitely one of the best. A wide variety of coasters. A nice water park included with admission.